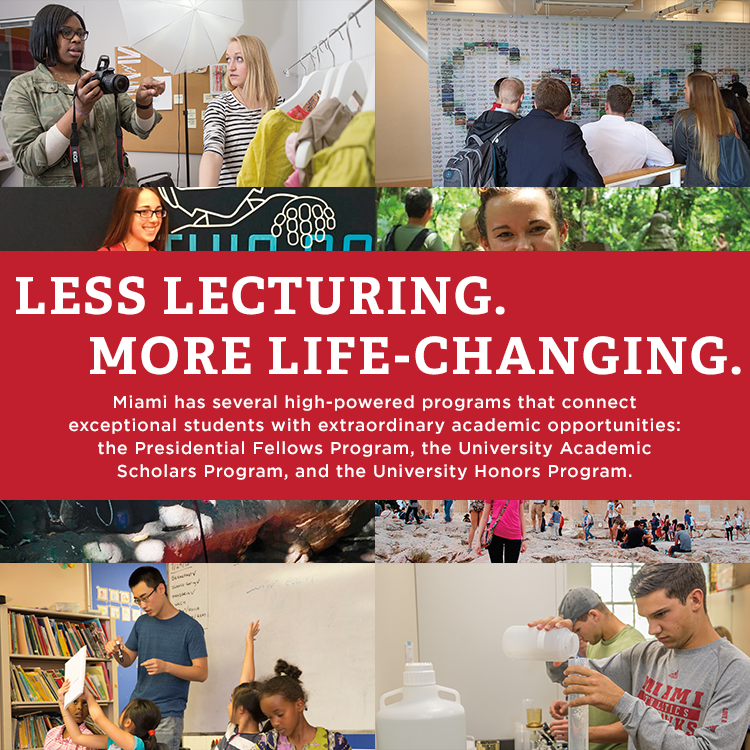 Miami's premier academic scholarship, the Presidential Fellows Program, is a four year, full-ride scholarship including tuition & fees, room & board, and a one-time $5,000 academic enrichment fund. 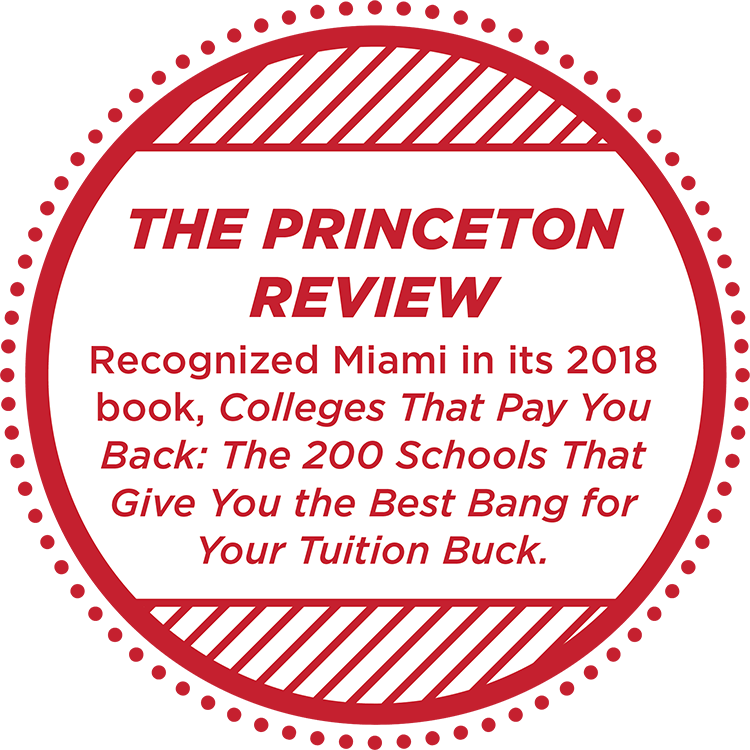 Highest achieving high school students from throughout the state, across the country, and around the globe are invited to apply for this competitive scholarship. 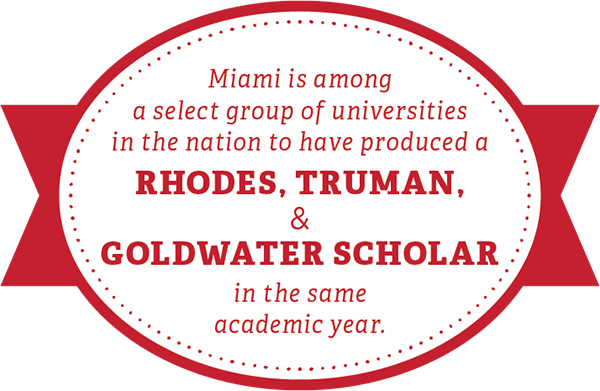 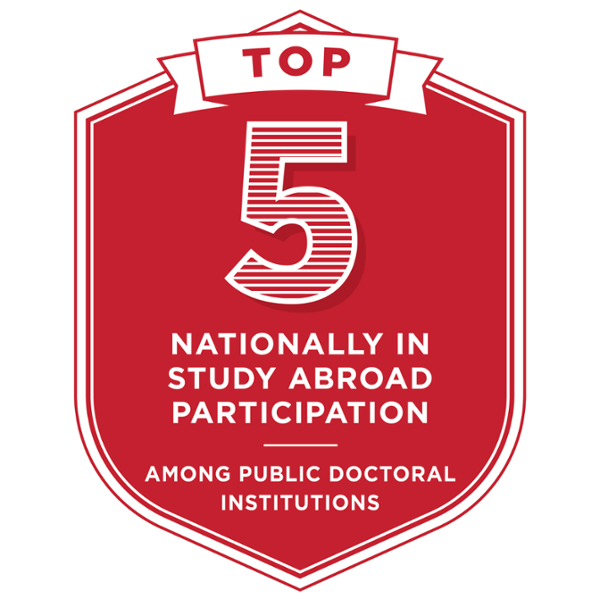 The University Academic Scholars Program (UASP) gives the best and brightest Miami students the opportunity to engage deeply in select areas of academic or professional interest. 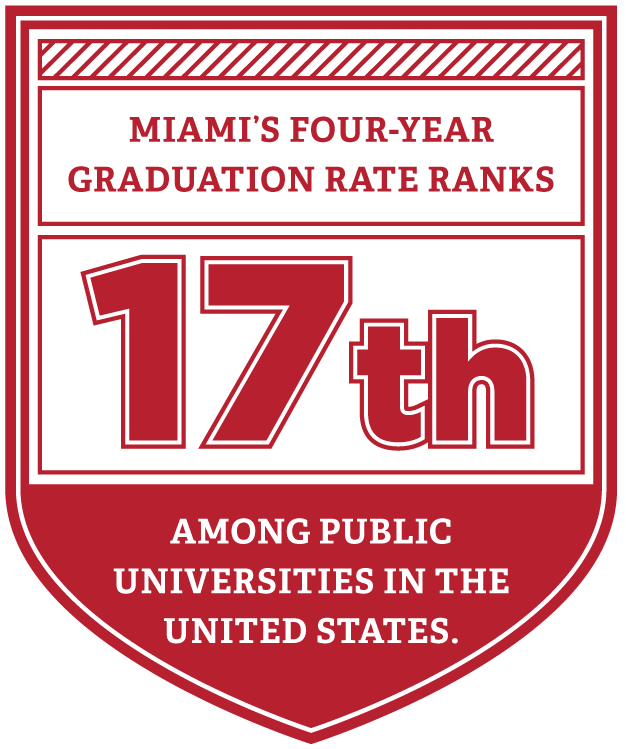 UASP provides students unparalleled access to Miami's nationally-recognized faculty, unique research opportunities, and internship experiences all designed to assist students in deepening their knowledge and passion for an academic or professional area of their choosing. 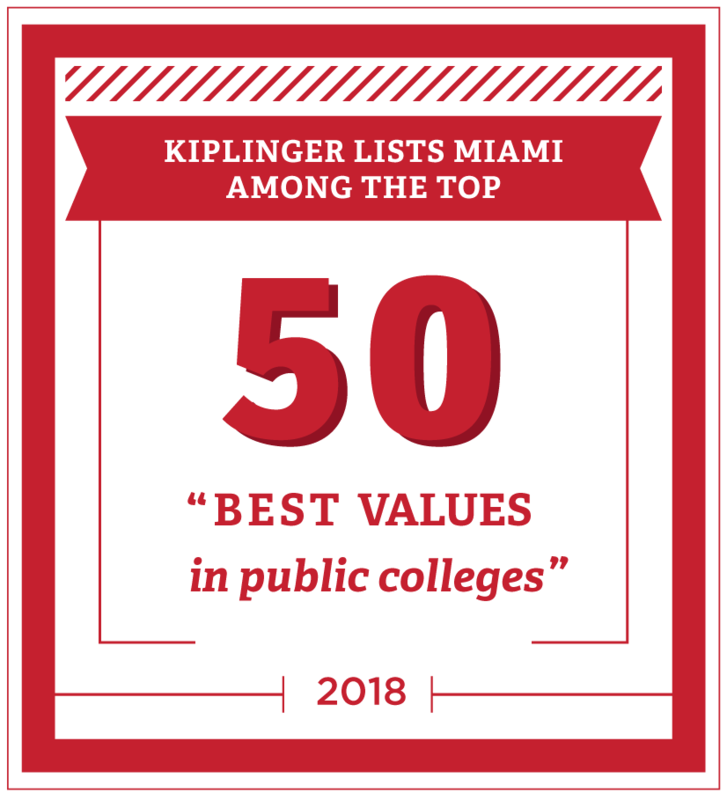 The University Honors Program (UHP) is a community of Miami's most intellectually curious and motivated students from across all academic disciplines. 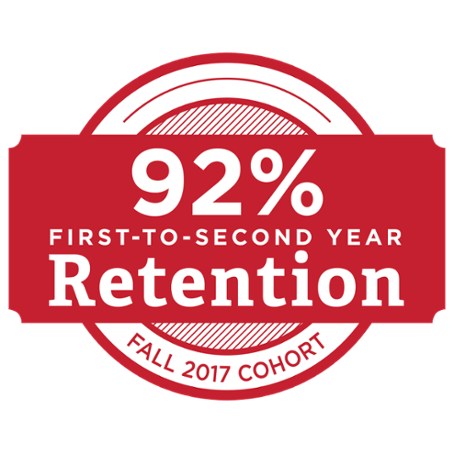 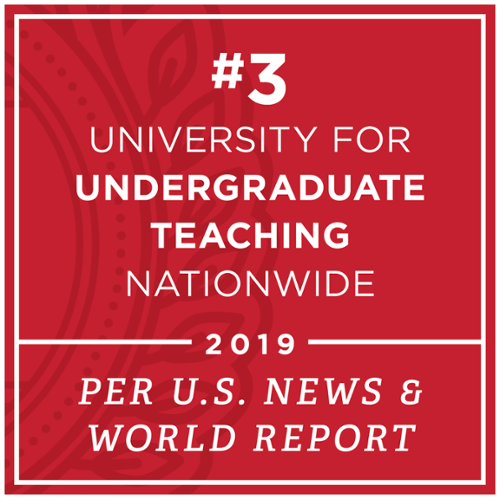 Designed to provide students with opportunities for academic exploration across a breadth of academic interests, UHP connects students with academically challenging honors coursework, opportunities to engage faculty members, and a unique living learning community.